Year round foliage colour for mixed planters and baskets. Perfect for Autumn and Winter colour. Great addition to hanging baskets, planters and tubs, gently cascading down over the sides. Includes two varieties - six plugs of each. Supplied as a pack of 6 x 6cm plants for quicker establishment, big enough to plant straight into pots and tubs. 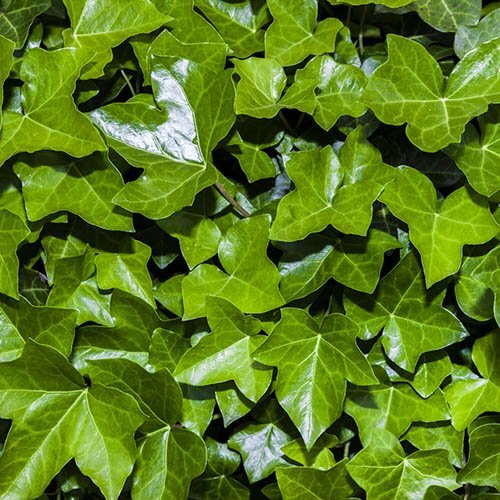 Finding year round foliage colour for mixed planters and baskets, especially for Autumn and Winter colour is a significant challenge - but variegated Ivies are the perfect foil to many plants. Their thuggish green relatives may take over, but these are far better behaved, and make the perfect addition to hanging baskets, planters and tubs, gently cascading down over the sides. You will get 6 plugs (each with 2 plants in) of 'Ester', a silver white edged variegated form, and 6 of 'Golden Child', with golden yellow edging, each offering a subtle contrast to pale and stronger colours, Summer or Winter, rain or shine. Slow growing, trim to shape, they can become the permanent features in tubs year after year, as you change the seasonal colour with them.